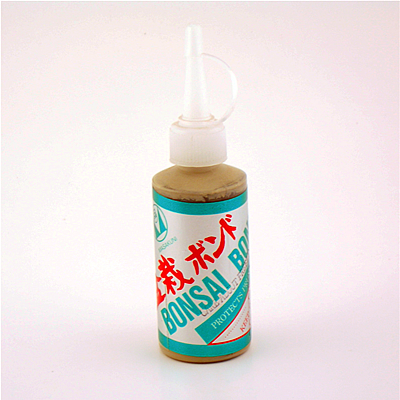 Bonsai cut paste, or wound dressing, is used to seal the trunk or branch area of your bonsai tree after you make a cut with your bonsai shears or cutters. Bonsai cut paste helps the cut area retain the valuable moisture required to heal the cut properly and minimize the scar. 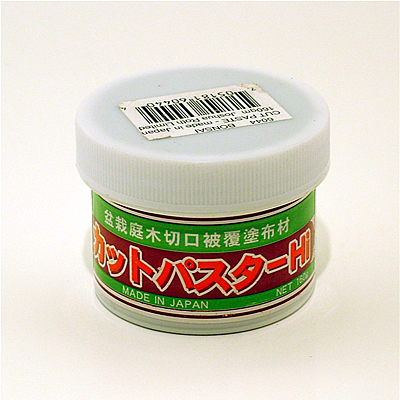 Description: Top Jin M-Paste is a medicated bonsai cut paste that can be applied directly from the tube or can be diluted with water to achieve a thinner consistency. 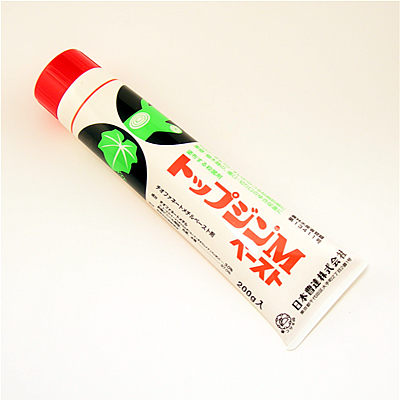 Description: This quick drying sealant and grafting aid contains insecticides and fungicides and forms a smooth, dark green cover that remains quite flexible. As the callus forms, the paste drops off gradually without leaving marks. 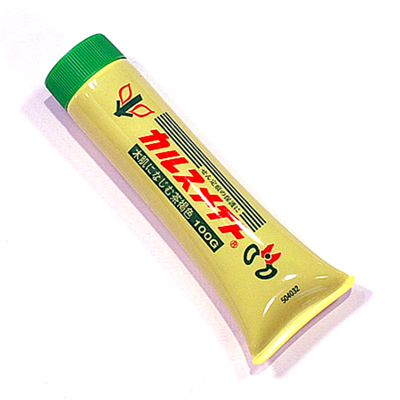 Apply to a thickness of 1-2mm. 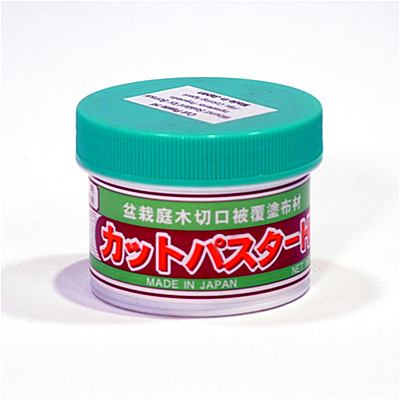 Description: Similar in use to Shin-Kiyonal, Karusmate callus dressing dries to a greenish-black color with a more natural look. 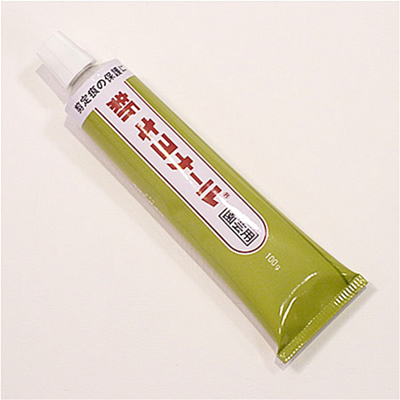 Description: This putty-colored cut dressing from Masakuni is used for 'gluing' broken branches. Spread on the break, press together, then wrap with florists' tape. In a convenient plastic dispenser. Description: This is a thick, dark grey paste made for all trees except conifers. Apply it to seal off cuts and keep sap from bleeding. Very popular with experienced bonsai enthusiasts. Description: This is a thick, dark grey paste made for all trees except conifers. Apply it to seal off cuts and keep sap from bleeding. Very popular with experienced bonsai enthusiasts. GREEN CAP FOR CONIFERS AND AZALEAS.